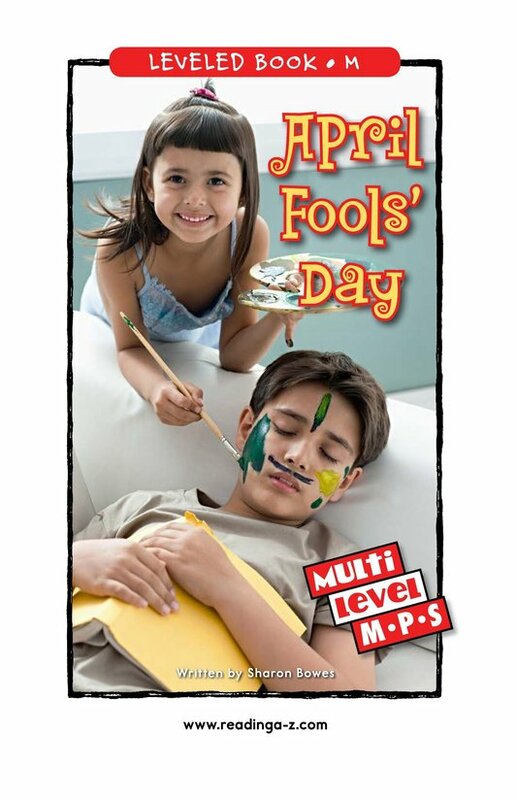 Have your friends ever tried to convince you to buy some plaid paint? 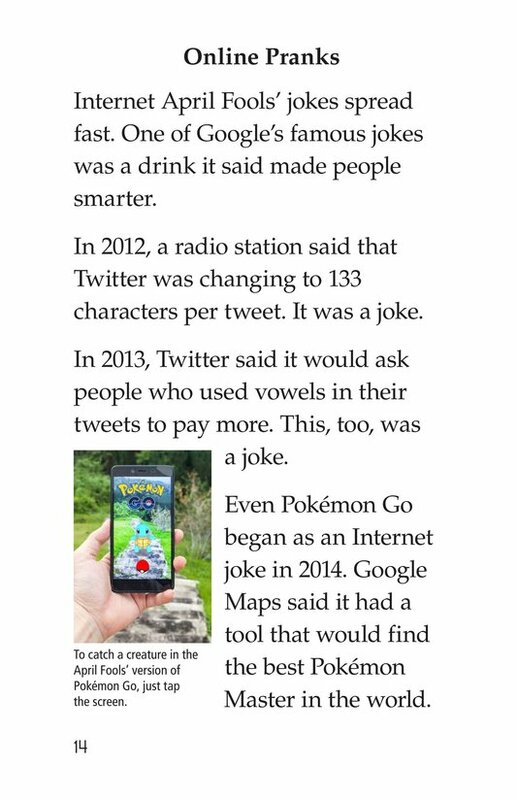 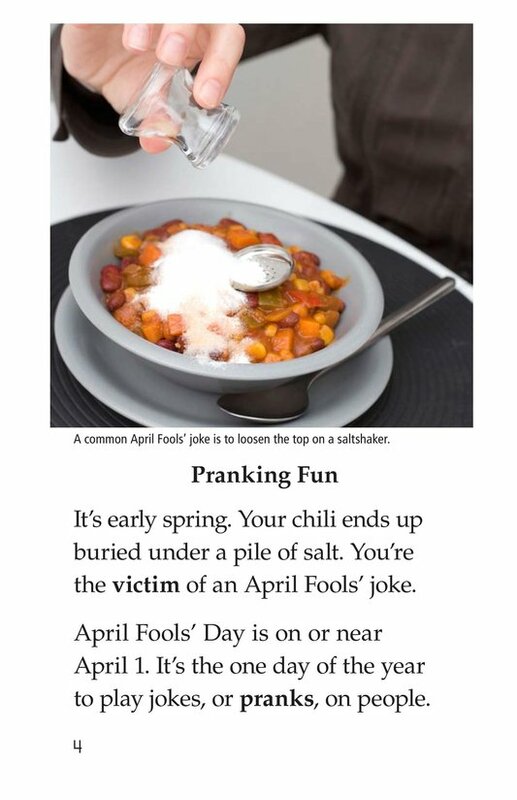 If so, you've probably been the victim of an April Fools' Day prank! 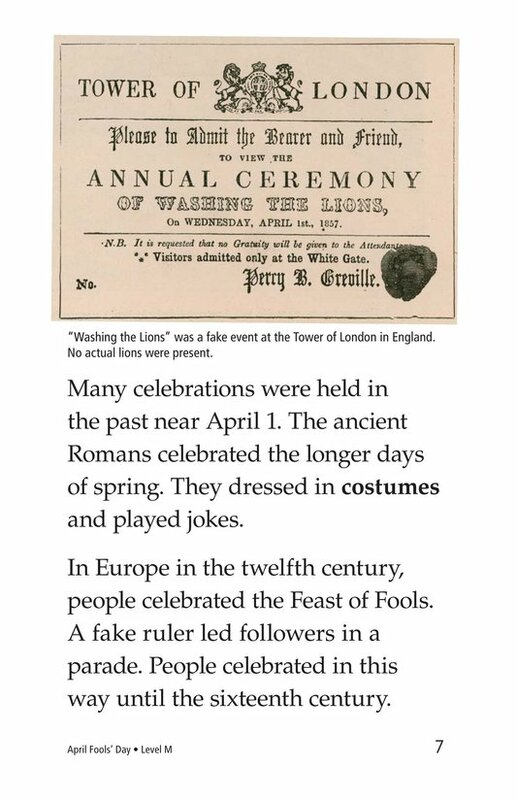 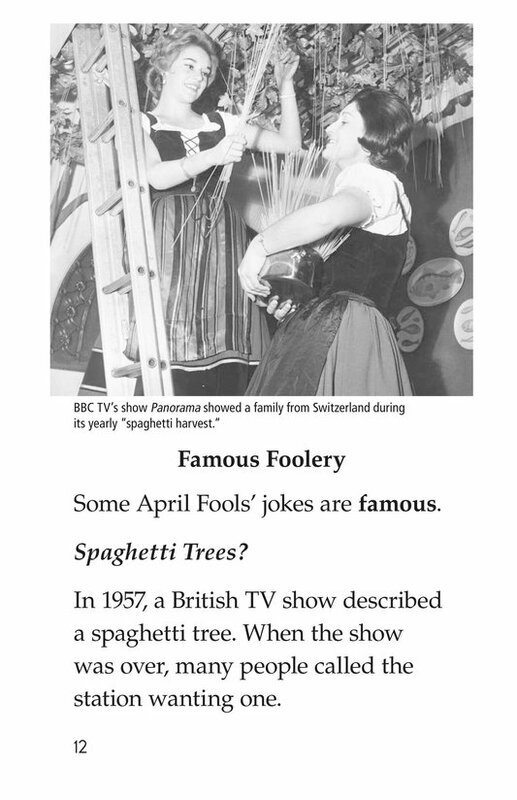 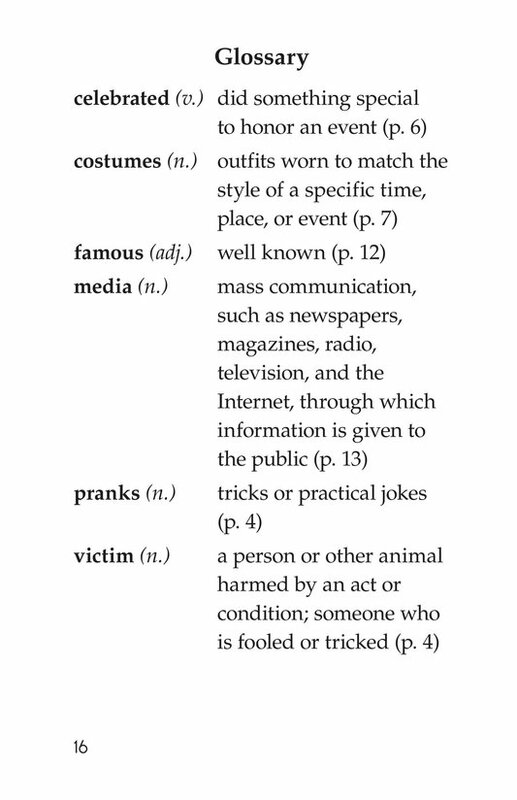 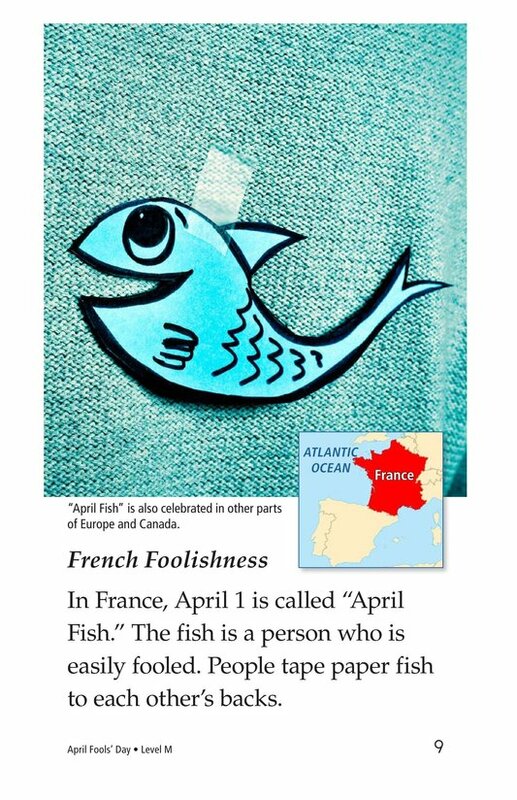 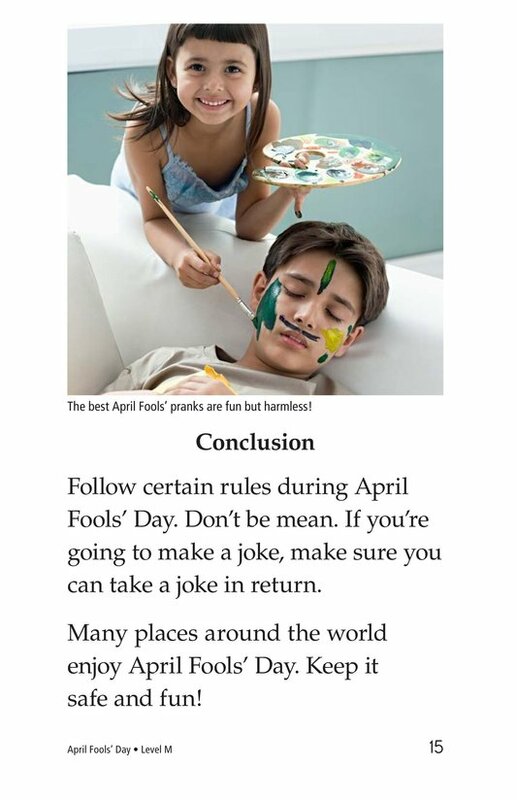 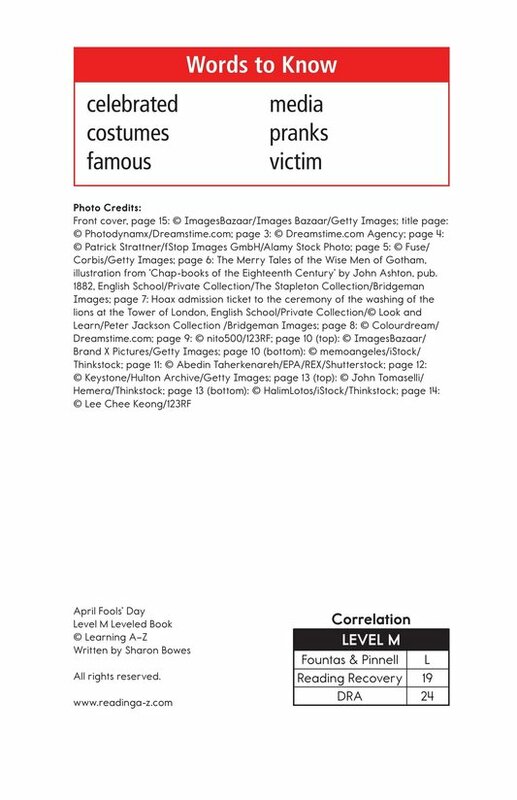 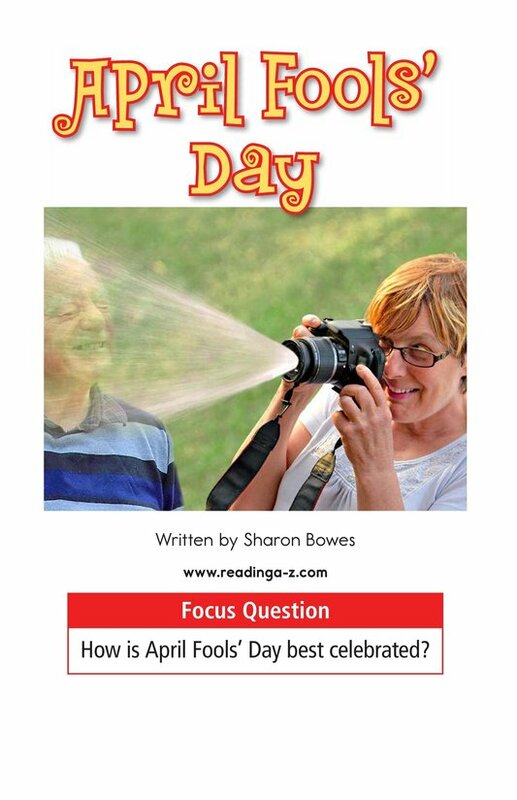 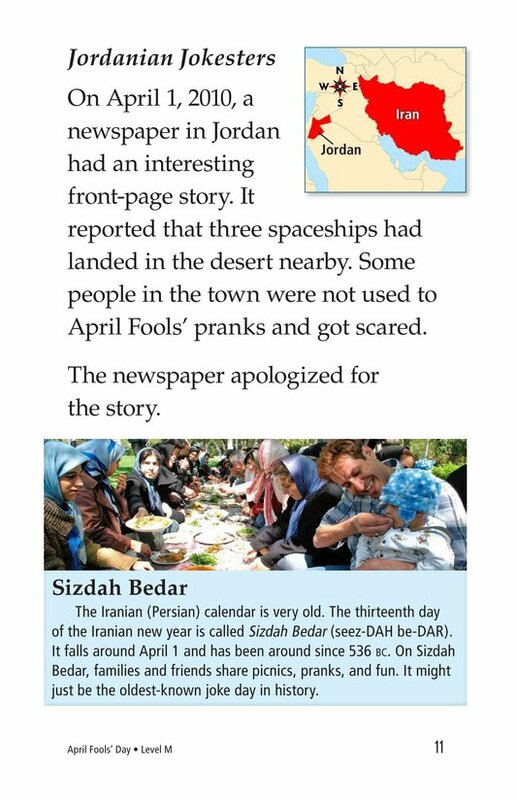 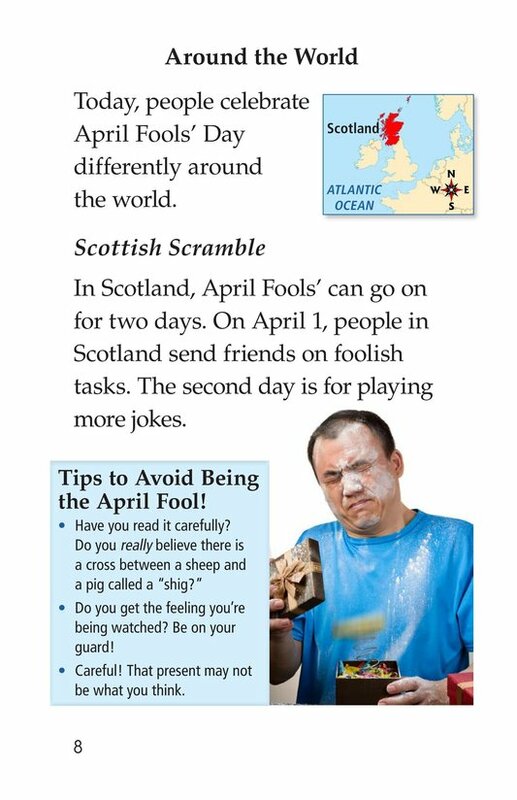 April Fools' Day is a fascinating book that delves into the history of April Fools' Day and gives some helpful pointers on how to pull appropriate and fun April Fools' Day pranks. 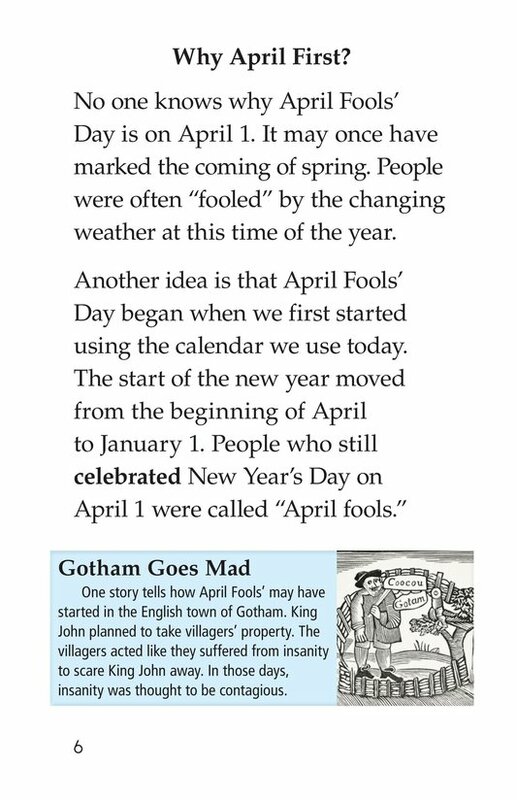 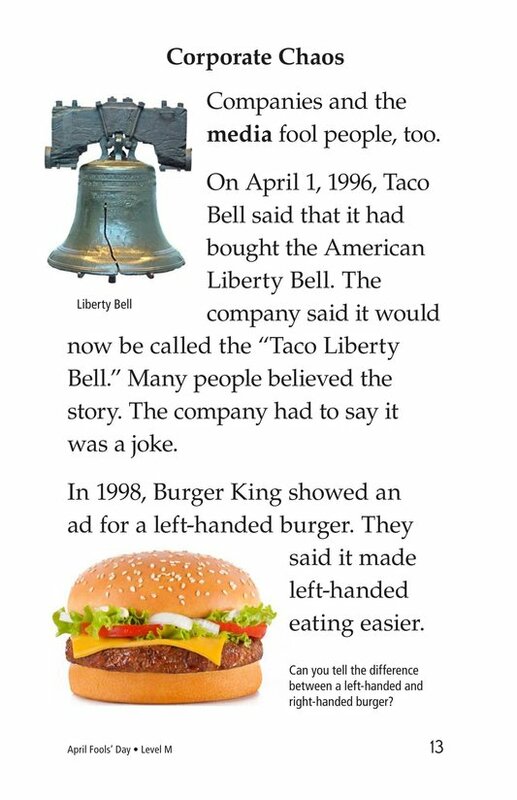 Students will love the examples from history as well as modern classics. 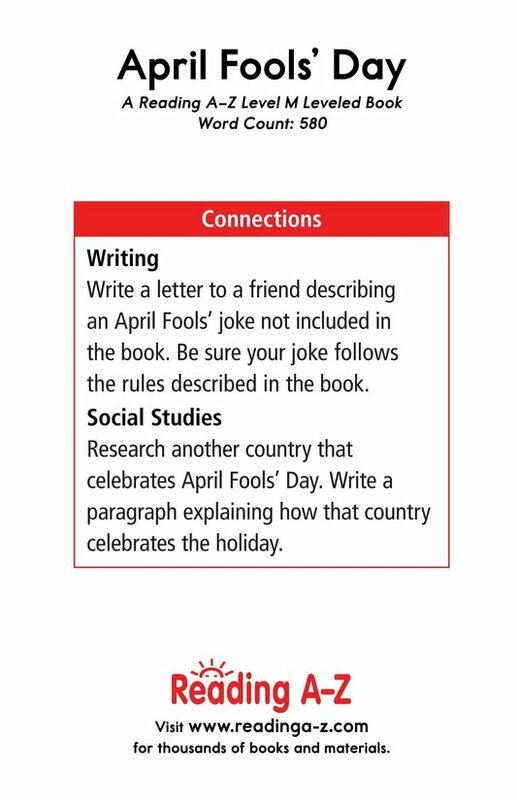 The book can also be used to teach students how to identify main idea and details as well as to connect to prior knowledge to better understand the text. 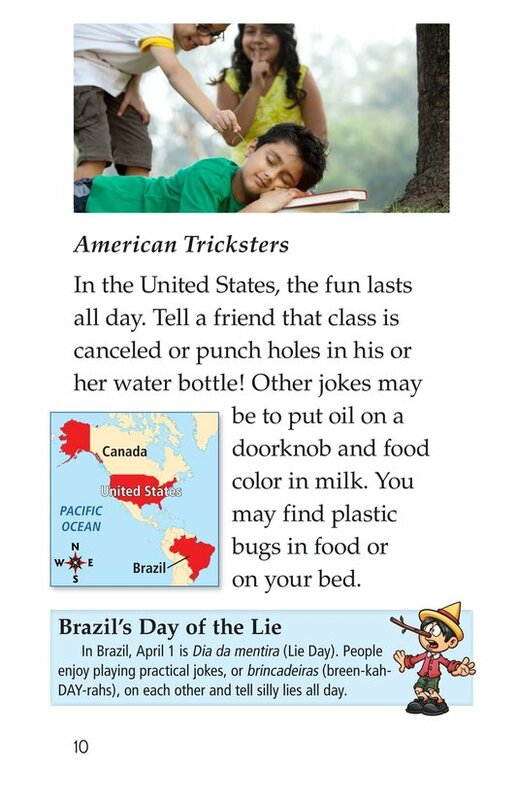 The book and lesson are also available for levels P and S.